Since 2002, 826 writing centers have successfully opened in eight cities across the U.S. (San Francisco, Ann Arbor/Detroit, Boston, Chicago, Los Angeles, New York City, Washington, DC, and New Orleans). 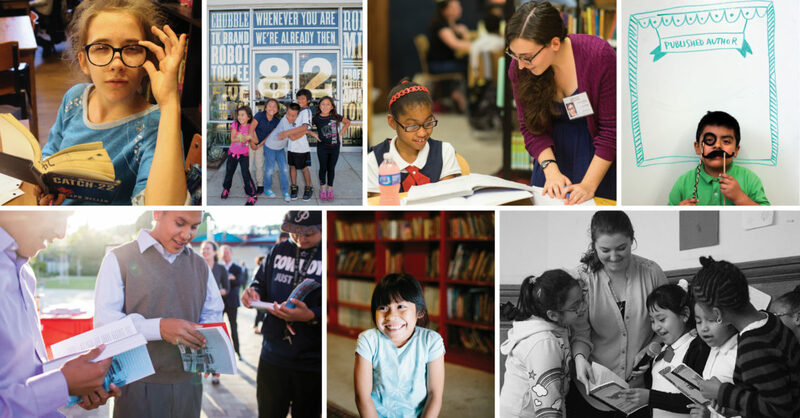 Last year, 826 chapters together served over 30,000 students, ages 6-18, with innovative programs aimed at improving their writing skills, and we continue to grow. 826 National has established the 826 Chapter Development Process for groups interested in joining the 826 network. The process takes an average of 12-36 months to complete. This process begins with a Letter of Inquiry, and if accepted, a full application. Our Letter of Inquiry period is now closed. Please check back for updates on this process re-opening. Will 826 come to my city? Because 826 is at its heart a community-based organization, 826 National does not start up new chapters at this time. Rather, we work to support developments spearheaded by local working groups and organizations who may best understand community and district needs and their local arts and education landscape. Where possible, we connect individuals interested in bringing the model to their communities to help foster local impact. 826 National’s Expansion and Growth Criteria (shared below) and Community Assessment Rubric offer some useful questions to consider in early stages of your work. Can we use the 826 name either during our planning process or as a part of the name for our potential organization? The 826 name can only be used by official chapters, such as 826NYC and 826CHI. It cannot be used as a “placeholder” name for individuals meeting to discuss a particular community’s needs or proposed project. 826 is a registered trademark. 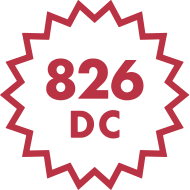 826 National, the 826 National logo, and other 826 National logos are protected by state and federal trademark laws. You agree not to display or use these trademarks in any manner without 826 National’s prior written permission. If you have questions about any use of language or crediting 826 in your organization’s history or vision, please email Director of Field Operations, Kait Steele, at kait@826national.org. If you have started a new community-based project in your area, feel free to reach out and let us know! We are truly excited to hear about your work and ideas. Can I visit an 826 chapter to learn more about the work you do? Due to the high volume of inquiries we receive and our chapters’ need to prioritize their efforts in day-to-day operations of their organizations, capacity for these visits is limited. If you are interested in visiting a chapter, please contact us at information@826national.org. We will do our best to accommodate your request, but visits to speak with chapter staff and to observe programming are not always possible. You are always welcome and encouraged to visit any of our chapters’ engaging and whimsical storefronts during their hours of operation, and we assure you that you’ll get a great sense of the space (and probably have an incredible time in the process). If you find you have additional questions after reviewing all of the information above, please contact us: information@826national.org. Be sure to sign up for our newsletter in the meantime for all of the latest news. Thank you for your interest and for the work you are doing in your local community! Check out our community assessment rubric! A tool for exploring the community you wish to serve. This criteria is based off the 826 National Community Assessment Rubric and used to help assess the potential fit of an organization or working group within the scope of our model. If you are in the early phases of organizational development, you may find the Community Assessment Rubric most applicable to your planning process. Does the organization match the 826 mission statement? Are they willing to modify their brand and board to affiliate as an 826 chapter? Will they solely serve students 6-18? Does the staff or start-up team have a strong background in nonprofit, education, and fundraising? Will the start-up team be willing to step back when it’s time for additional staff to join in the core roles (Executive Director, Programs, and Development staff) in support of fulfilling the mission? Is this a community of high-need? Will volunteers be enticed to go there? Will families feel safe? Is the proposed location gang-neutral? What is the ethnic makeup of the communities? (e.g. High percentage of refugees? Large population of Newcomer students and families?) 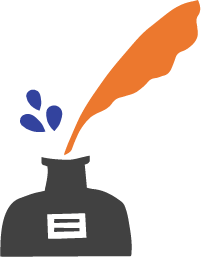 What languages are spoken and written? What are the unique needs of these communities? Is the location accessible by public transit? Are the collaborating schools more than 95% public? How many students are there in the district? How many public schools are there in total? Are the local schools under-resourced? How many students are on free and reduced lunch (an indicator of socio-economic circumstance)? How many students are English language learners? What is the graduation rate and dropout rate for the district and the partner schools? Are there potential partnerships that are untapped? Who else is doing similar work in the community? Who could collaborate in raising awareness about the project? Are there potential funding partnerships? Who is the potential volunteer community? Does it reflect the student and family populations that the organization will serve? Is there enough capacity to meet the requirements of 826 programs with volunteer support? Is there a culture of volunteerism in the area? How is the group recruiting volunteers? What community partnerships exist between local universities, the nonprofit community, local media, and local government? Do these partnerships contribute to fulfilling the mission of the programs and do they represent a broad cross-section of the city’s population–racially, culturally, and socio-economically? Who is the organization’s primary fundraiser and what experiences does s/he have? What relationships exist with key local funders and foundations? What relationships exist with the local corporate community? Who is on the team managing local public relations and what experience does s/he have? How much foot traffic does the proposed retail location have? Is this location attractive to shoppers? Is the store accessible by public transit? Is the proposed location near the population of students and families the organization intends to serve? Who on the team has experience with retail?